Consider this post to be a free gift* to the Special Counsel Robert S. Mueller and his tireless investigation of the above mentioned collusion. Which investigation, after a year of tireless digging in all possible directions, seems to have strayed far away from its original target. Russia provides approximately a quarter of the natural gas consumed in the European Union; approximately 80% of those exports travel through pipelines across Ukrainian soil prior to arriving in the EU. So far so good (for Kremlin, that is): being a provider of the essential substance gives Russia, beside a significant income, a valuable addition to their stranglehold on the European behavior in other aspects. Like the European military readiness and spending. For the euro area, defence expenditure amounted to 1.2 % of GDP; with expenditure in both areas changing little in comparison with 2015. Which number, like it or not, drives the Americans mad. However, it seems fair to point out that making the American taxpayer indirectly fund welfare programs in Germany, a country not in need of financial aid is a troublesome proposition. European nations can stand on their own two feet when it comes to organizing their defense. If Europe does not feel satisfied with its level of defense, it should have those debates within its own countries, without asking Americans for handouts. So this European attitude makes Kremlin even happier, of course. But there is a fly in the ointment. Namely, the fact that a good part of the Russian natural gas, on its way from Russia to Europe, passes through the much hated lately Ukraine. Not only does this passage provide Ukraine some much needed income (close to $800M yearly for the passage fees), the pipeline also provides Ukraine itself the much needed gas**. Of course, this state of affairs bothers Kremlin, and thus the Nord Stream - a series of pipelines that eventually will allow Russia to kill two birds with one stone: to avoid paying the passage fees to Ukraine - a considerable saving that, by the way, will hurt Ukraine quite a lot; and to put Ukraine on notice: continue to misbehave and the tap will be closed for good. And here comes the uncrowned leader of EU - Germany, ostensibly a good friend of USA, a progressive bastion of Western world etc. Here I shall use an unprejudiced German source. Preparatory work for the construction of a controversial Russian gas pipeline began off the German coast on Tuesday, just days ahead of a visit to Moscow by German chancellor Angela Merkel. 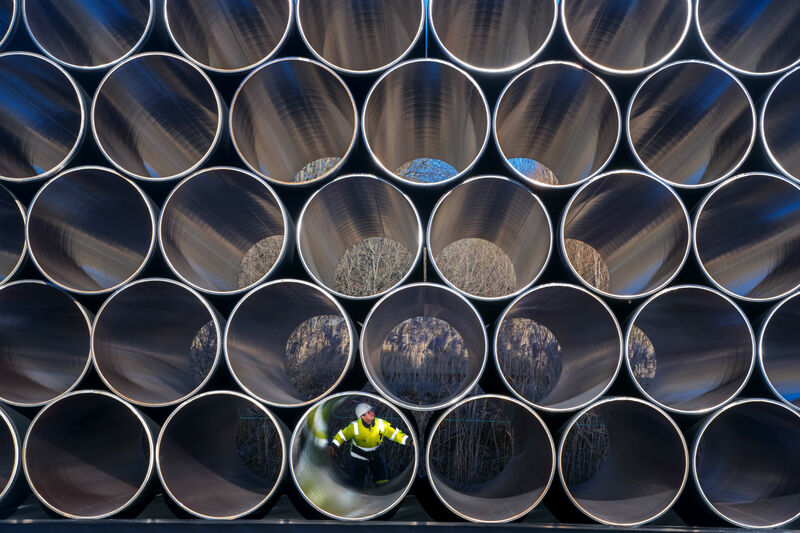 "Nord Stream 2 AG today started the offshore preparatory works for the subsequent pipe-laying in the Bay of Greifswald" on Germany's Baltic Sea coast, the building consortium, led by Russian gas giant Gazprom, said in a statement. 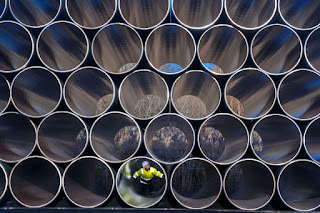 The pipeline has proved controversial, in particular in eastern European EU states, who fear it could be used as a tool to boost Russian influence over the bloc. Moscow notoriously used gas prices to pressure Ukraine during a mounting conflict with its former satellite which saw Russia annex the Crimean peninsula in 2014 -- prompting EU sanctions in response. On one hand, Germany has participated in the economic sanctions against Russia, established after its annexation of Crimea. On the other... yes, we need the gas, don't we? And the cheaper the better. As for Ukraine? Well, a bit more lip service from Brussels, and we got it fixed, don't we? And this is the way it goes. Does it drive America mad? You bet. Israeli operation, Russian one - or both?